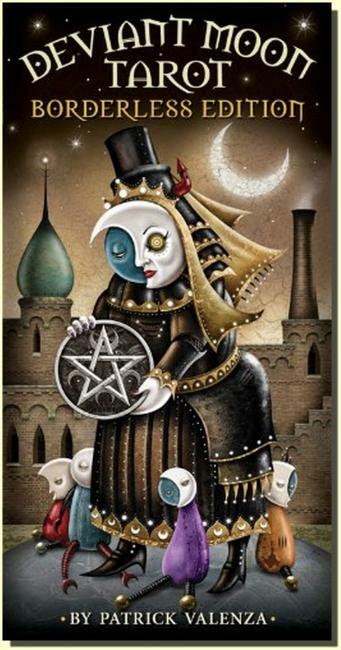 The Deviant Moon Tarot has surreal, very unique, and sometimes disturbing moonlit artwork. 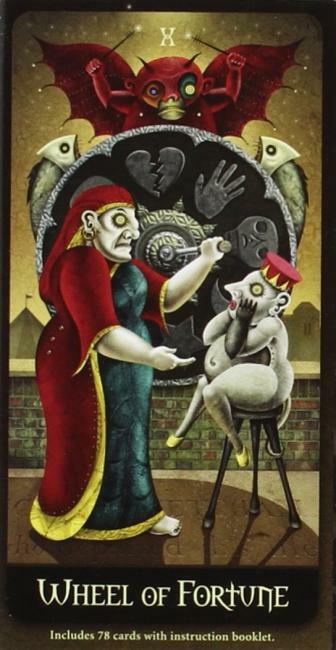 It is inspired by (and incorporates) images of cemetaries and mental asylums, and designed to illuminate deeper parts of the subsconscious. 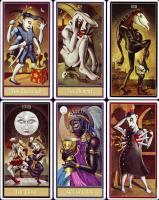 The talented illustrator is also a tarot student, and the deck is the result of three years of artistic work. 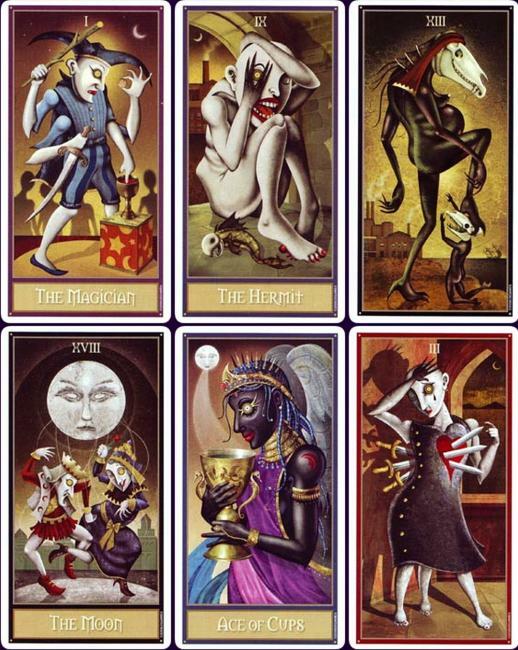 Stylized characters and moonlit dreamscapes draw you into the luminescent world of Deviant Moon Tarot. 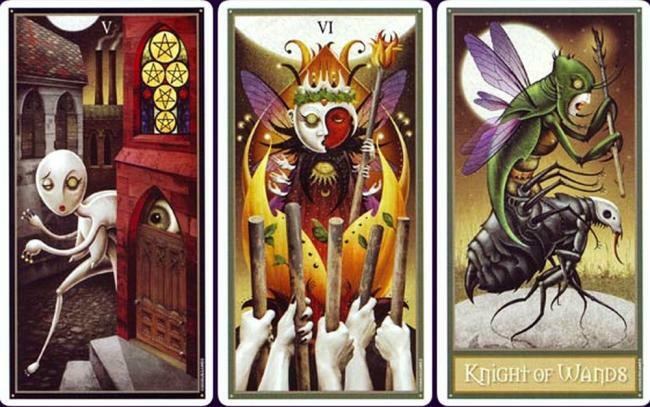 This special Borderless Edition highlights Patrick Valenza s stunning artwork and allows readers to connect more deeply with the evocative tarot imagery.